I hope the holiday weekend has been relaxing for you. It certainly has been for me. Shall we explore? Eva believes we bought this for her. She's sat in it more than either me or BF. Now I don’t believe that getting “stuff” should be the end all, be all of life. 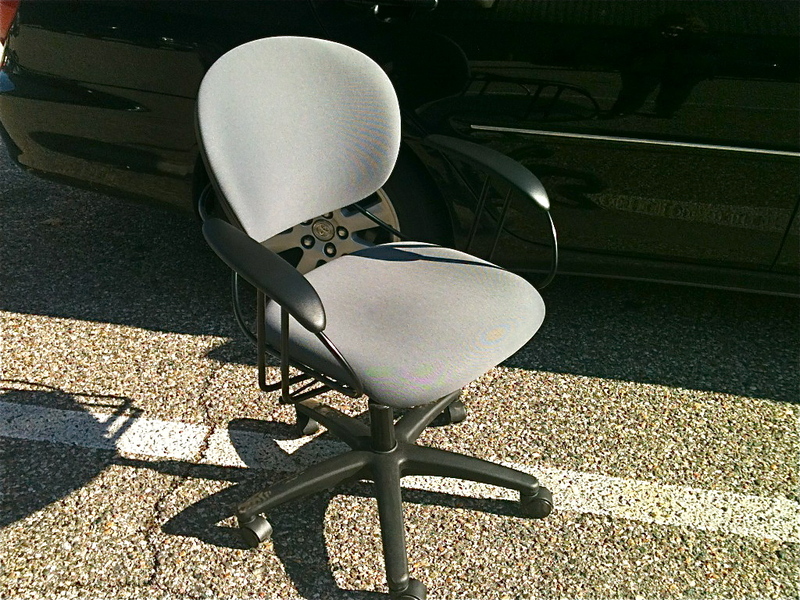 “Stuff” is just like anything else, where there’s a line between “need,” “want,” and “taking over!” In this case, though, we desperately needed a desk chair. The “new” in the title is deceptive, as there was never an “old” chair. BF and I bought a desk about, oh, four months ago, and I’ve been putting off getting a chair (that is, when I haven’t been forgetting about it altogether). So when I finally got one, I snapped this picture and sent it to BF. Mission accomplished, babe. 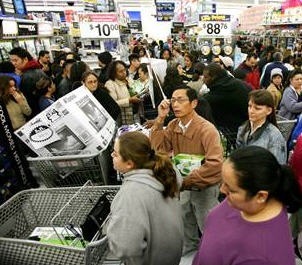 I am not, NOT a fan of the Black Friday frenzy. I have some friends who are over the moon about it, and when they called to tell me of their spoils, I was happier to hear they survived the ordeal than whatever they purchased. I spent Friday at home, relaxing for the most part, but also discovering my love for baking soda and white vinegar as a cleaner. My tub has never looked better, no mobs required. …though if a mob suddenly decided it wanted to come over and fold laundry, well, who would I be to say no? 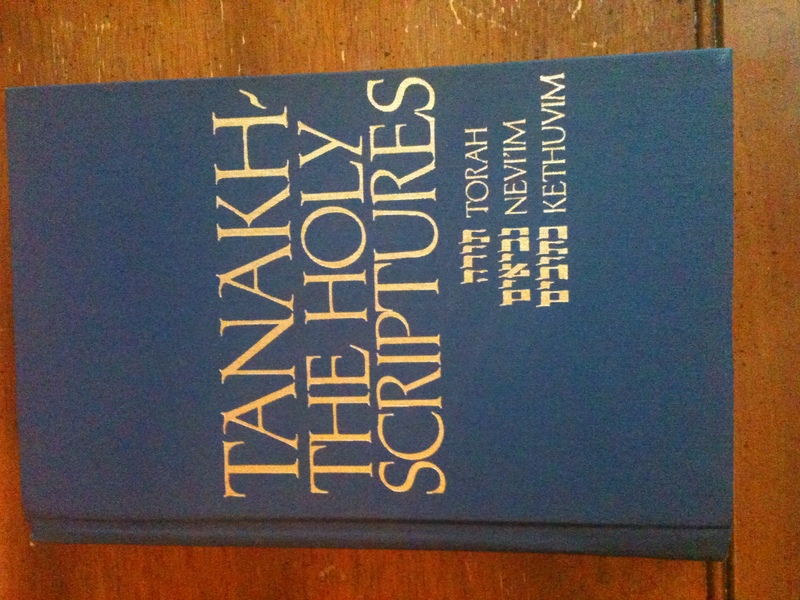 BF and I, along with another few of our friends, are starting up a Torah study group Monday nights – along with study, there will be dinner I get to prepare. I’m excited for many of the obvious reasons, but one in particular is that one of our friends is both gluten and dairy intolerant. Weird as I am, I absolutely love cooking for people who most would view as “demanding.” As a vegetarian/quasi-vegan, I completely understand being the picky person at the table – mine is by choice, but there are so many people who can’t choose to eat otherwise. It’s a challenge and a blessing to go into the kitchen and whip up something that not only meets their dietary needs, but is delicious and healthy too. Stay tuned for a post on that! Our rabbi was out of town for Thanksgiving, so we had a lay person lead our Friday Shabbat service. She is a wonderful lady who heads up curriculum for the Sunday School BF and I teach at, who will often lead when the rabbi is our of town. I love when she does, because she always puts a spin on anything and everything in a way that really relates to me. This week’s Torah portion is the story of Jacob seeking (and taking) his brother Esau’s birthright, and eventually their father’s blessing. One interesting part of the story is how Jacob uses food to exploit his brother and his father to achieve the means he wanted. This was the message our lay leader put in front of us: food is an important tool, a necessity where lacking it exploits the needs of so many people around the world. Every day, there are millions of people going hungry and dying for lack of food, and how we cannot sit idly by in such a world where this happens with such regularity. It’s a message I firmly agree with. These will probably make up some of my main gifts this year. Most of my friends and family have what they may need, and I can think of no better way to honor the holidays then by giving others what they may need in their name: a phone card for a soldier, providing blankets for the cold, or vaccinations for children around the world. This is a great local organization that makes sack suppers for children who usually can’t secure dinner. These are kids who are on free/reduced lunches, and the organization’s founders realized that there wasn’t anything there for them after the school day is over. It also connects to the idea of feeding the hungry, which I think is one of the highest callings a human being can respond to. All hail a real Chanukah card! I saw some UNICEF holiday cards in my local Barnes and Noble, and I love the idea of giving greeting cards that also help out a good cause. 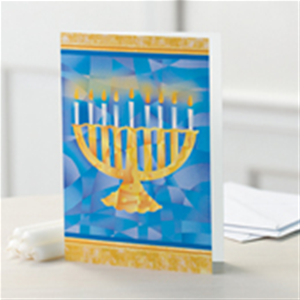 If that’s not enough, they actually have Chanukah cards – not just “Happy Holidays,” but real, full-out Chanukah cards. You’ve got my vote! Your turn: Are you giving this year? Where and Why?